Miami, FL (July 30, 2013). 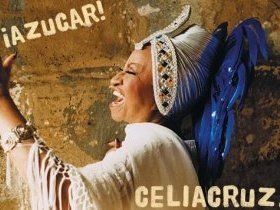 – Celia Cruz admired and loved around the world remained at the vanguard of Latin music and fashion, while ruling the charts with her spirited charisma and her unforgettable yell of “¡Azúcar!” (Sugar!). We all came to realize that over six decades there was nothing more delightful than singing and dancing to a Cuban son at any point throughout her remarkable career. Now, a decade after her passing, Celia Cruz, The Queen of Salsa, is honored with a tribute that’s worthy of her legacy – The Absolute Collection – a journey, showcase and inside view of the personal and artistic life of the legendary and forever influential musical icon is available now.